In the Group Policy Object Editor, expand User Configuration, Administrative Templates and click Start Menu and Taskbar. Double click Start Menu Layout. In the Start Screen Layout dialog box, click Enabled. 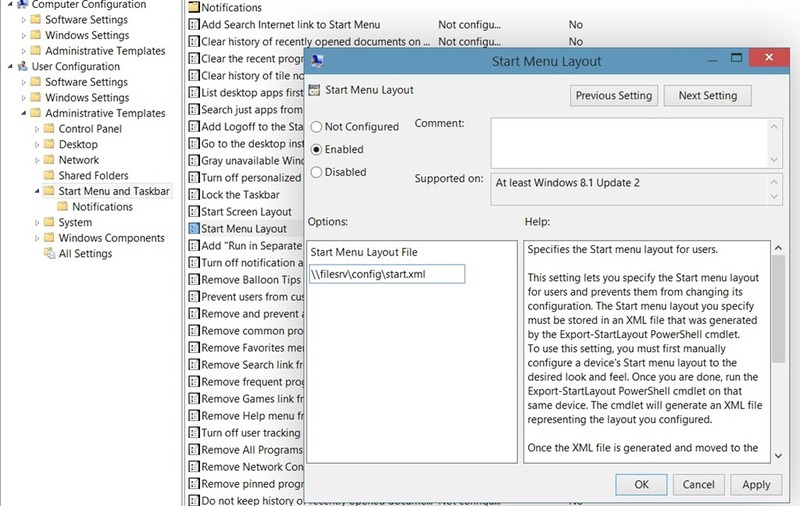 In the Start Layout File box, type the path to the *.xml configuration file you previously created using export-startlayout. The file should be located on a share folder on your company file server. So when the Group Policy applies, users will not be able to change the layout of the Start menu in Windows 10.